You’ve got a business colleague who’s hostile...a client who’s furious...a staffer who’s deeply cynical—how do you get people to do what you want in tough situations like these? 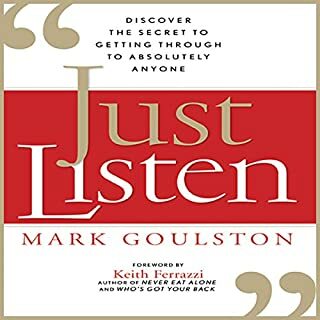 In Just Listen, veteran psychiatrist and business coach Mark Goulston reveals the secret to how to get through to anyone, even when productive communication seems impossible.“Here's the challenge,” Mark says. Should be titled "How to get along with people"
So often we want to make big changes in our lives, but lack the resolve to see them through. It seems we just can't summon the necessary willpower to take on these huge challenges - saving money, quitting smoking, increasing productivity, getting a promotion or pay rise, or losing weight. But here's the secret: willpower is not the answer. Imagine how different your life would be if you could tell whether someone was lying or telling you the truth. Be it hiring a new employee, investing in a financial interest, speaking with your child about drugs, confronting your significant other about suspected infidelity, or even dating someone new, having the ability to unmask a lie can have far-reaching and even life-altering consequences. 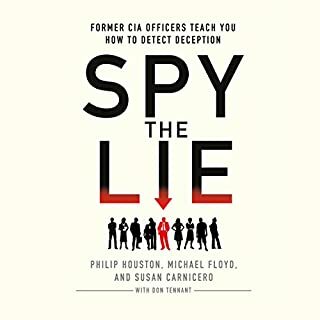 As former CIA officers, Philip Houston, Michael Floyd, and Susan Carnicero are among the world’s best at recognizing deceptive behavior. 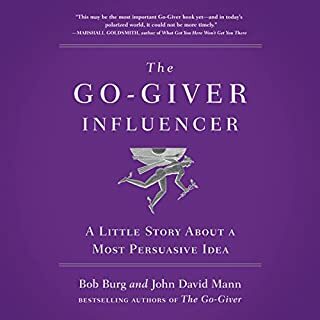 The Go-Giver Influencer is a story about two young, ambitious businesspeople: Gillian Waters, the chief buyer for Smith & Banks, a midsize company that operates a national chain of pet accessory stores; and Jackson Hill, the founder of Angels Clothed in Fur, a small but growing manufacturer of all-natural pet foods. Each has something the other wants. 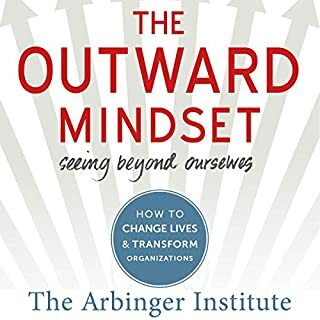 The Outward Mindset teaches listeners how to shift more fully to an outward mindset and how to help others, even whole organizations, to make that shift - a shift that sparks innovation, increases accountability, and transforms collaboration, engagement, and fulfillment. Strong leaders at all levels within an organization are a requisite for business success. Yet the leadership pipeline—the internal architecture for growing leaders—is often broken or non-existent. 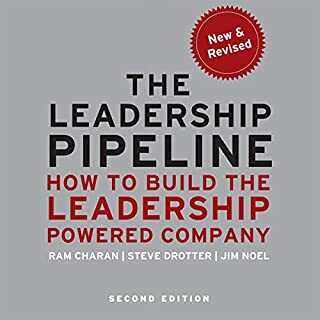 This updated edition of the best-selling The Leadership Pipeline has been revised to help address the challenges of today’s business environment. Anchored in experience, it offers a tested model for planning leadership succession and development that has proven to get results. From core principles to proven tricks, Getting Things Done has the potential to transform the way you work - and the way you experience work. 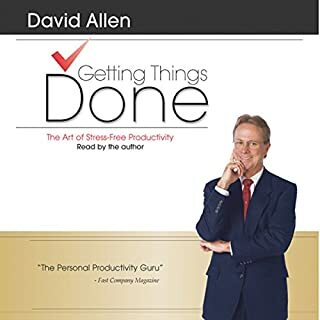 At any level of implementation, David Allen's entertaining and thought-provoking advice shows you how to pick up the pace without wearing yourself down. Present moment awareness is an essential ingredient in life if one expects to experience any degree of authentic peace and contentment. It has been acknowledged for centuries as the cornerstone of spiritual awakening in all traditions of Eastern thought. In the West, however, it is still a relatively unrecognized concept for living. The Western mind is always restless, never content with the moment. 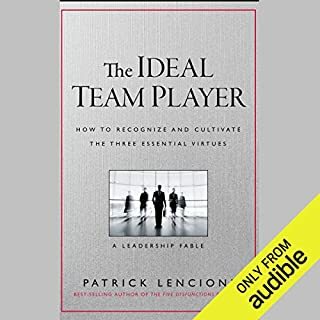 In The Ideal Team Player, Lencioni tells the story of Jeff Shanley, a leader desperate to save his uncle's company by restoring its cultural commitment to teamwork. Jeff must crack the code on the virtues that real team players possess and then build a culture of hiring and development around those virtues. Beyond the fable, Lencioni presents a practical framework and actionable tools for identifying, hiring, and developing ideal team players. From the New York Times best-selling authors of Crucial Conversations.... Whether your goal is to change minds, change markets, or change the world - anything is possible for an influencer. Everyone wants to be an influencer. We all want to learn how to help ourselves and others change behavior. And yet, in spite of the fact that we routinely attempt to do everything from lose weight to improve quality at work, few of us have more than one or two ideas about how to exert influence. For the first time, Influencer brings together the breakthrough strategies of contemporary influence masters. 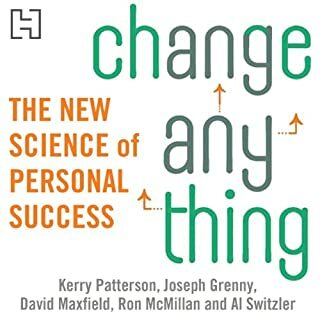 By drawing from the skills of hundreds of successful influencers and combining them with five decades of the best social-science research, Influencer shares eight powerful principles for changing behaviors - principles almost anyone can apply to change almost anything. Not even the talented narrator could save the monotony of this. Practical but painfully boring. 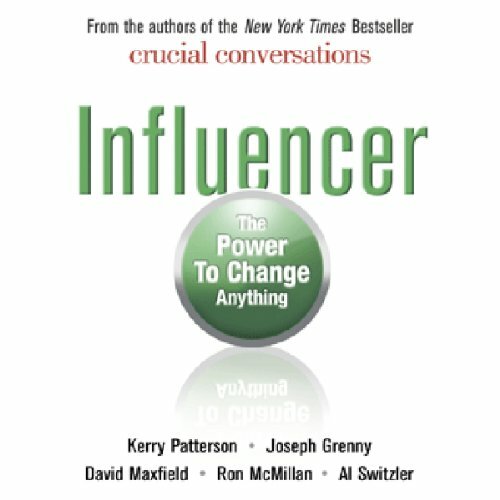 Influencer is not the book that you might think it is. If you are looking for something on how to become a change agent then this book is for you. 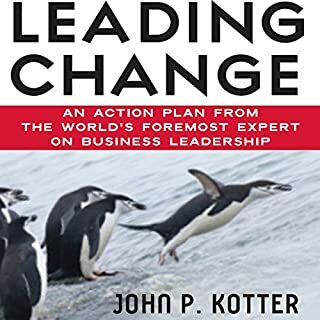 This book is very well researched by its Authors, they include many examples to support the concept they are talking about; Mainly how to influence change, which is broken up into different strategies and each chapter focusing on one of them. So many examples are included hence the 8 and a half hours. 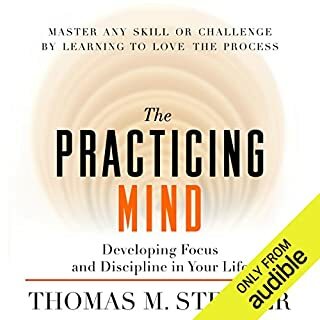 The plus side of this audio book is that if you are someone who is interested in understanding people better, or you work with people, especially psychologists then this audio book is for you. Some of the stories used as examples where a certain strategy was implemented and worked were interesting to know of, some I had heard of before but not in detail. However on the downside the book is long and can get a bit boring dragging on and on, I reached a point where I just wanted it to finish but I spend almost 1 hour going to work and 1 hour coming back so I had the time to go through the entire book. I know some of you will not be able to. All in all the good content (especially the real world examples used) out weigh the one negative of this book, that its too long. 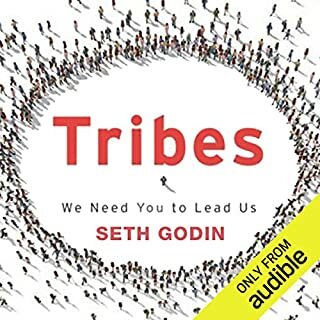 So if you are someone who wants to learn strategies to aid you in influencing change on an organization or community level then you will appreciate this book and what it teaches you. I have an interest in psychology so there you have it why I did not rate this book less than 4 stars. 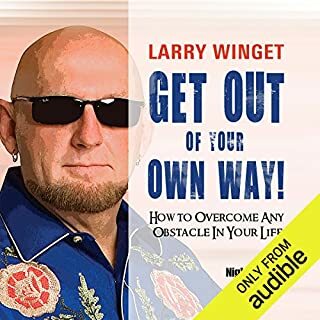 My recommendation to who ever is thinking of getting this audio book is don't, rather buy the book and read it at your own pace. Purchasing this book in Audio Format is bad idea. I am not saying that this book was bad. I am saying that the audio format means I have to listen to everything. I also have to listen to EVERYTHING with a notebook in hand. 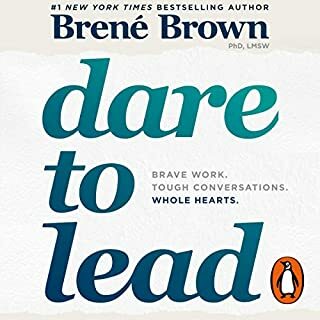 The purpose of an audio book is to listen while I do other things around my house so I can read a book (no pun intended) and get menial tasks completed. I hate--I mean HATE any book that has much to be delivered, does not include a PDF and spends A LOT of time telling you why this will work and why you should use it. I don't need to be convinced. I bought this book--right??? So please--get to the point. I like books that tell me the strategy first and then why it works. That way, if I want to skip the back-line of the story, I can do so. Another issue is that the examples are all over the place and not orderly at all. The authors talk about what happened in Thailand with the HIV epidemic then talk about a place in California but both are supposed to be related. I just don't follow. This books needs serious reorganization and a complimentary PDF. The strategies are great and I feel they are sound and will work. It's just hard to muddle through. 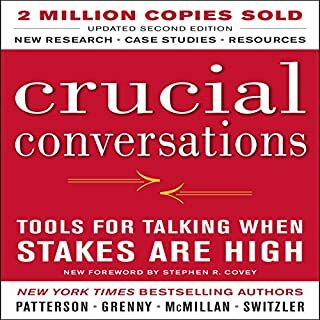 I have listened to both "Crucial Conversations" and "Crucial Confrontations" by the same authors and enjoyed all 3 audiobooks. My favorite is probably "Crucial Conversations" and you can read my review on that title. This is probably my 2nd favoratie. I think this one is has even more information. I do like the narrator of "Crucial Conversations" more and I like the format and easy of understanding concept of "Crucial Conversations" a bit more than this one. There's nothing wrong with the narrator of this book. He has a fine voice, I just like the voice of the other narrator more. This audiobook is unabridge which means it has more information and real-world stories. I really like the stories shared in this book. I'll probably buy the paperback version of this book as I did the other 2 books. The info is so valuable, I need to see it to fully absorb it. I like these books so much, I'm hoping to find others in my area to meet with to work on these concept. I bought "Crucial Conversations" for 2 of my loved ones. I'm trying to figure out how to impliment these techniques into my own life. The authors don't waste time on cliches or platitudes. They do use clever phrases to help remember important concepts. Like the focus on the power of stories to change minds. Or vicarious experiences. 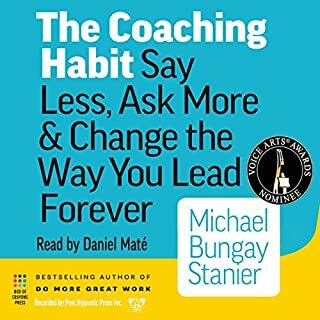 A great insight into the concepts of reaching new goals and changing thoughts (your own and others) by focusing on key behaviors. Actionable techniques are presented in an engaging narration. 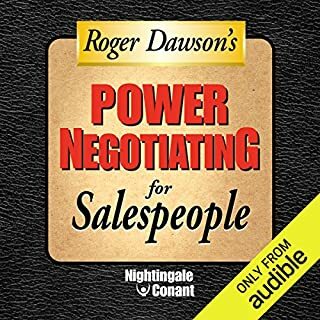 Since listening to this book, I have noticed how more productive my conversations have become simply by focusing on the key areas described in this book. This book on my list of favorites. Last for 8 hours, but the points are very far in between. Way too much talking but way too little substance, and nothing beyond the common sense. Another book that takes other peoples research and uses it to prove things that we already know. Gladwell is the only who can do it and make it interesting this really hard to listen to. I expected this book to be less scientific and less valuable than it turned out to be. Not one of those stupid motivational books, but rather a good theory source with real-life cases as illustrations. 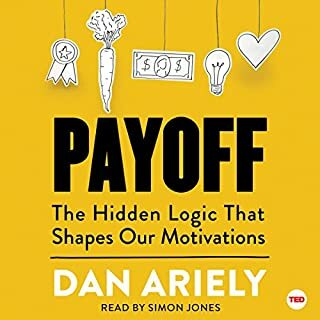 Some of the chapters move you away from the major subject while trying to prove a point, and discuss things like, for example, delaying gratification studies or skills acquisition processes. These topics, however, are presented in a great scientific manner (well, maybe not a scientific, but at least authors are not bullshitting with you and consider you to be smart) and are supplied with data and good examples, so it's a pleasure to read (listen to) them. I also think this book is a must-read for entrepreneurs, as they are the ones, who must influence people all the time and be good at it. And while they usually learn to do so by practicing, this book might provide a great deal of theory to start with. This is up there in my top audiobook for the year - right next to "Made to Stick". It is full of interesting and useful information. An excellent follow-up book for those who liked Robert Cialdini's "Influence" from the 1980s. I really like it when, after I've finished a book, I'm inspired. Much of the material may come across as common sense but I found the value to be in the proposed structure to myriad tools of influence. The narrator is very good however, for me, his delivery was unintentionally humorous at times. Especially when relating the story of the chocoholic who can't resist the temptations of the chocolate brick. His simultaneously deadpan and melodramatic reading of that passage had me chuckling. Robert Cialdini's famous book Influence is more about individual technique to gain influence. But this book is more about gaining influence in a community and as a leader. Read/listen to both books, you will gain a more wholesome view of influence techniques and methods. It will be a bonus if there's a some summary/note accompanying this book. After reading Crucial Conversations, this book has been like a punishment. I did not want to leave it unfinished, since I read in another review that after the 6th chapter was going to get better. However the examples, the rhythm of the book was boring and not useful. I agree with previous reviews that it is a summary of many experiments already explained in other books.